St Luke's Blog: Topping the charts again! This may give you a slight sense of déjà vu, but no, we're not repeating old news! 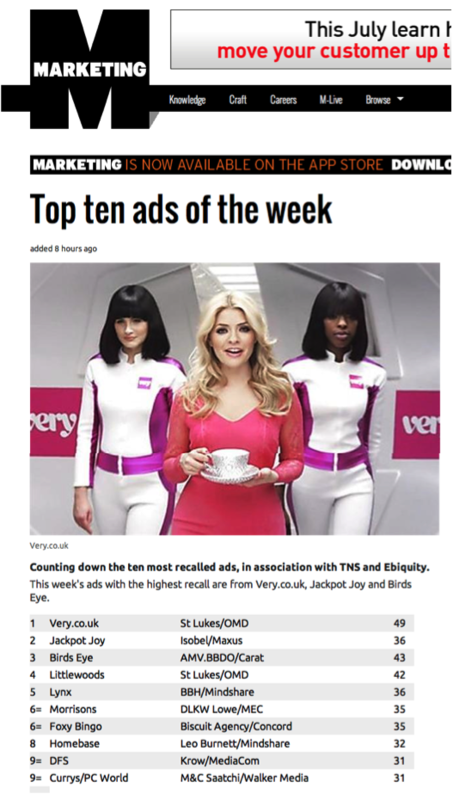 Very.co.uk have made it to the top of the Marketing magazine chart of the 'Top Ten Ads of the Week" for ads with the highest recall by viewers this week. This comes only two weeks after two of our Shop Direct brands occupied the top two spots in the same chart. 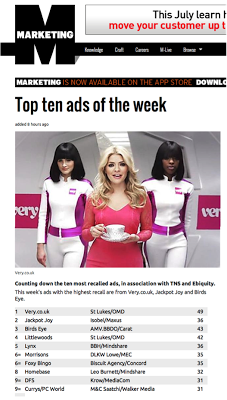 With Very taking the top spot, and Littlewoods still sitting pretty at number 4 we're the only fashion retail brands in the top 10 and show that our ads resonate well amongst their audience. Here's to more Very stylish ads to come!